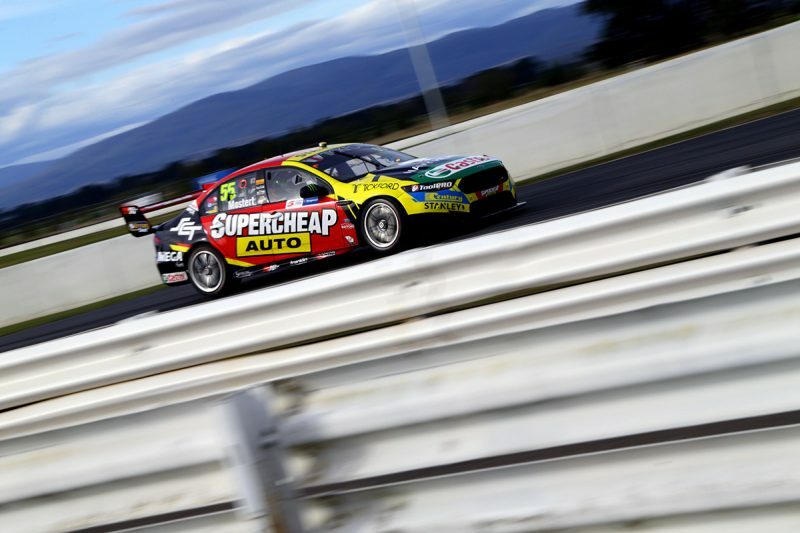 Tickford is hoping Sunday brings renewed fortunes after a disastrous Saturday netted it a best result of 14th courtesy of Mark Winterbottom. Across its fleet of four cars, only Winterbottom escaped damage while a fire ended Mostert’s day in pit lane after contact with Rick Kelly earlier in the race. Cam Waters also came to grief with Kelly, damaging his steering, while an opening lap incident saw Richie Stanaway lose seven laps as the team repair the Mega Fuels entry. As a whole, the team has struggled for pace across the weekend, and after failing to make the gains it had hoped for from Friday to Saturday, team boss Tim Edwards is hoping an overnight reset will net better fortunes. “You’ve just got to have the view that it’s a new day so we’ve got to perform better,” Edwards told Speedcafe.com. “It’s not as though you’ve got to find a huge amount to make big gains around here. “If you can find a tenth all of a sudden it moves you into a different point and you’re racing with different people. “We’ve just got to regroup and start and again and look at (it) like a new day. Saturday’s plight was underlined by Mostert’s retirement, when the Falcon caught fire in pit lane. Contact with Kelly in the early stages left the Supercheap Auto Falcon with a broken exhaust, which caught fire when the pit limiter was engaged. 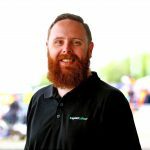 “He sustained a bit of on track damage that obviously broke the exhaust and then when he came into the pit lane the car caught fire with the pit limiter,” Edwards explained. The fire was quickly put out, with Mostert breathing in some of the extinguisher powder which forced him to climb from the car, before being strapped back in as the team worked to repair the broken exhaust. “We were obviously trying to change the exhaust system but didn’t manage to do it in the time that we would have been classified,” Edwards said. Following practice on Friday, Mostert had complained of a lack of turn in his Falcon, while following Saturday’s race Winterbottom reported a lack of front grip. None of the team’s four cars made the cut into the final phase of qualifying, with the drivers all reporting similar struggles. “We were good in the beginning of stints but after a few laps I’d lose the front tyre so we’d be stuck wherever we were,” Winterbottom said. “They’ve all fundamentally got the similar issues,” Edwards admitted. “Some things you can deal with on the run, some things are sort of hard coded. “We’ve got some areas we’ve got to work on our car to improve it but some you may never get on top of. “It’s one of those things. It’s not an exact science but they certainly know what they’re trying to look for in the car. Practice ahead of Race 8 of the season begins at 0955 ahead of another three-part qualifying session and the 84-lap race at 1405.